Crimping machine is used to crimp the metal fittings of high voltage insulators during insulator production process. It is used in production line of polymer insulator. With high pressure from hydraulic power force, crimping machine press the metallic fitting from all direction and make the metal fittings well attached to the fiber glass rod of composite insulators. 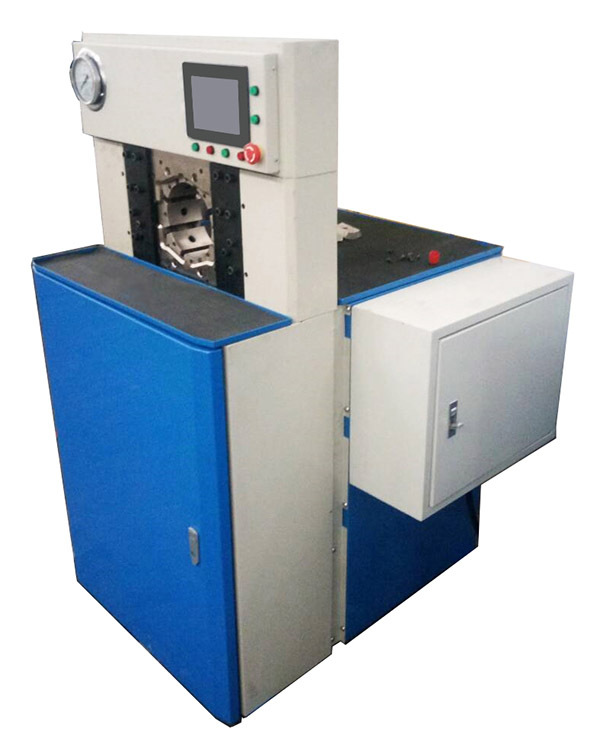 This crimping machine is necessary for manufacturer of composite insulator. 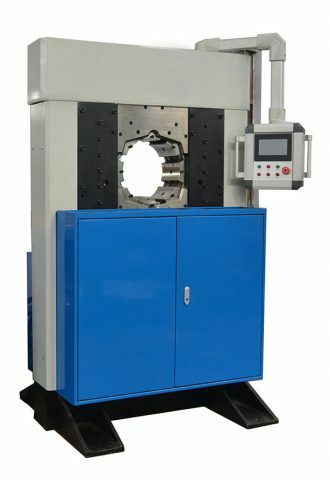 With this crimping machine Model.C-140, composite insulator of different type, including pin type polymeric insulator, post type polymeric insulator,suspension polymeric insulator, tension polymeric insulator (long rod insulator) can be crimped with this machine, voltage of which can be from 11KV up to 220KV. For higher level voltage of insulator, please refer to another type “crimping machine 165” by clicking “Related products” lable above.